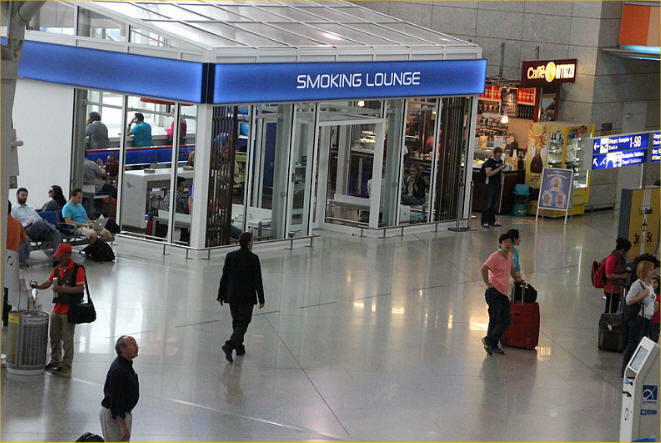 Smoking is only permitted in designated areas outside the terminals and one smoking booth. There are smoking facilities inside the terminal after security. Note: ATH has changed the policy for Non-Schengen flights - Terminal/Gates A. You can only buy duty free cigs (so big packs only.) they have smoking areas but no cigs haha. Feedback from Radu on the 18th Aug 2018. Note: Gates A01-A23 are separated from all other gates. Feedback from Alina on the 24th June 2018. After security, departures A, just before gates A30-A32 there is another smoking place. 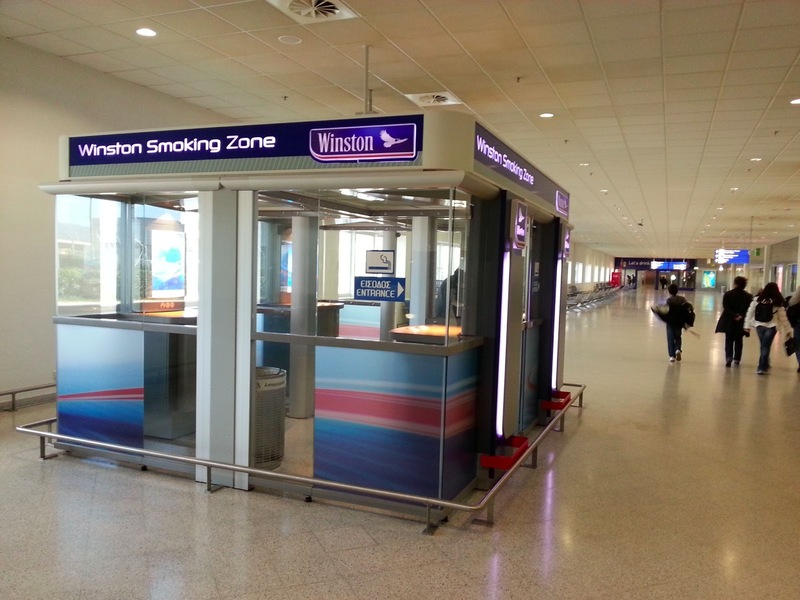 In Terminal A if you head towards gate A09, there is a smoking room on your left. Thanx to Swen K.. for the update on the 30th May 2018. The Aegean business lounge is non-smoking. It has been non-smoking for more than a year. Update from Patrick on the 18th March 2019. 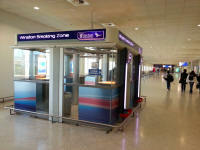 He says the smoking lounges are one small booth in arrivals and a main one, in Departures area before security. You smoke after you pass security.